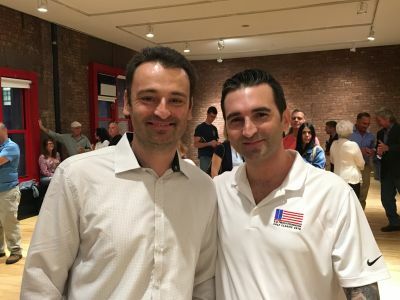 Andrew Serra has been a NYC firefighter since 1998. He's also an author and the brother of our RPF board member Rob Serra. 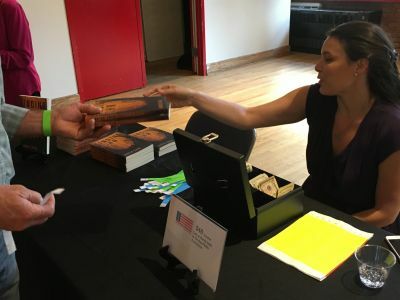 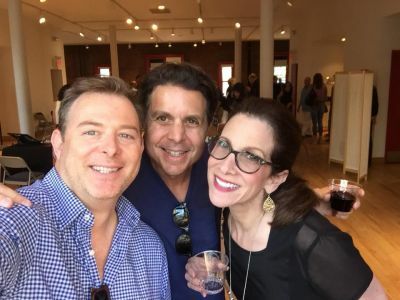 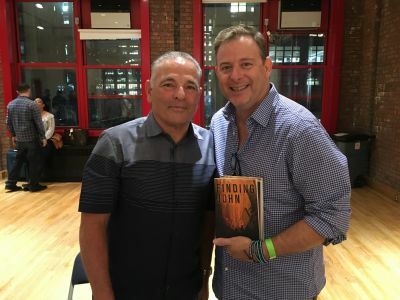 Andrew held his "Finding John" book launch party at the New York City Fire Museum and donated all the proceeds from the night to our foundation. Thank you Andrew! 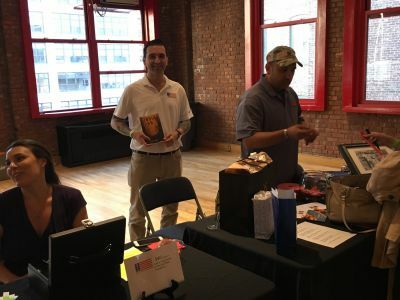 Rob helped sell books while Brian McGuire from RPF sold raffle tickets. 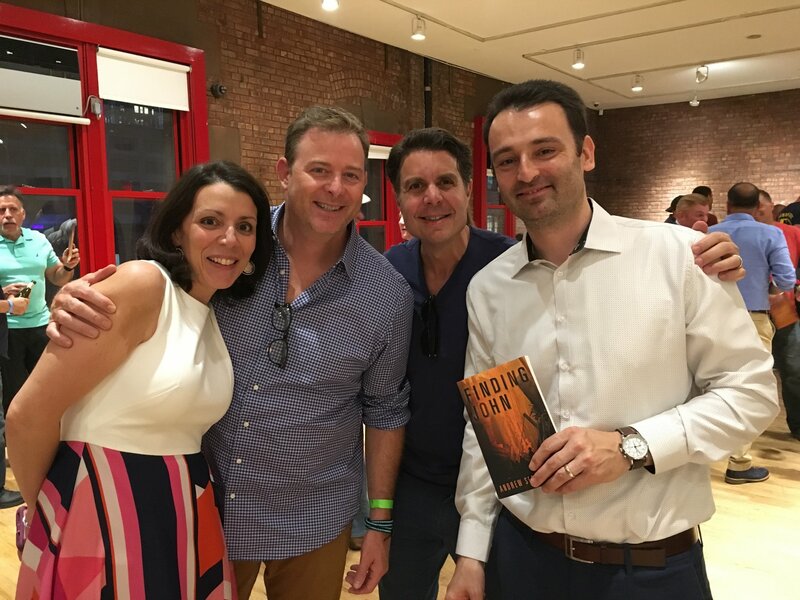 Teresa & Andrew with Dan & Michael celebrating the release of the new book "Finding John." A brothers selfie with one Pfeifer and one Serra. 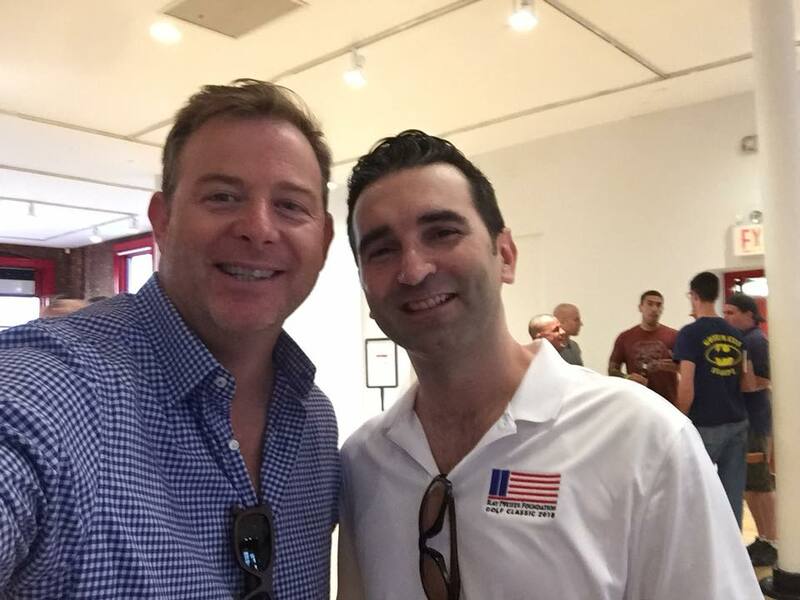 Joseph Serra, the proud father, meets Dan Pfeifer. Dan Pfeifer, Michael Nuzio and Lori M. Berlin also represented the Ray Pfeifer Foundation.